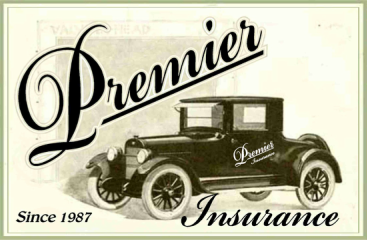 Premier Insurance - We have the lowest rates in town! Let Premier Insurance help you find the perfect Insurance Policy! Click below to get started on an Auto Insurance Quote. Give us a little information about yourself, and we will find the car insurance that best fits your needs. We offer Insurance for Auto, Motorcycle, RV, Boat, Home, Mobile Home, Renters, Life, Health, and more! Simply put, Premier Insurance has been saving our customers money on all their Insurance needs since 1987!! We are your Auto Insurance Specialist. Give us a call to save on your insurance needs today!!!! Toccoa, GA Location Now Open! Premier Insurance is proud to accounce that our new location is open, and ready to serve the insurance needs of Toccoa, Georgia. Stop by to see us today! Welcome to our website. We hope you find the information you need here but if not please give us a call at (770) 536-2728. We are always happy to talk to you or feel free to come by our office. As your local insurance agent we want to make a customer, and friend, for life. ​Call for a free quote today (770) 536-2728, or for an Instant Quote on Auto Insurance give us a little information about yourself to see a comparison of the low rates and down payments we can offer you on superior coverage. Premier Insurance has two locations serving Northeast Georgia.